COWBOY HENK: NEW BOOK OUT SOON! 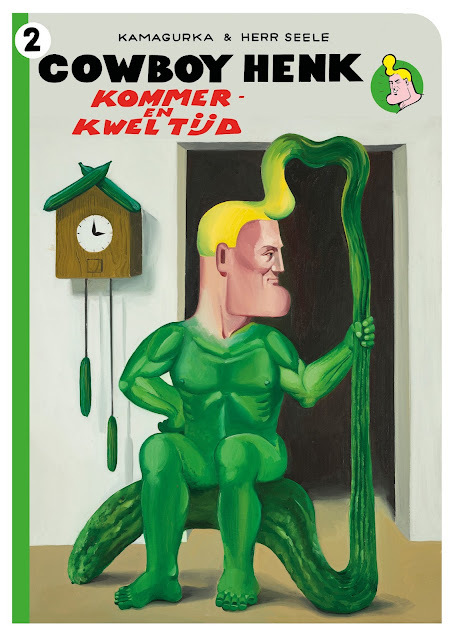 The new Cowboy Henk album, Kommer-en Kweltijd will be out next week. It is a limited edition of 500 numbered books, 48 pages, colour and black & white.The book is the 2nd in a series covering the whole oeuvre of Cowboy Henk. It is not translated, so texts are in Dutch. Available in our shop. You can also take a subscription for 4 books. This way you'll never miss a new Cowboy Henk publication by our own publishing house, Uitgeverij Hoekaf. And when taking a subscription, you will get a Cowboy Henk Club membership card and an extra present!